Not long ago, consumers who wanted to buy cannabidiol (CBD) products — which are said to have physical and mental benefits — had limited options. Such products were generally available only online or in shops that also carry e-cigarette goods or marijuana for medical and/or recreational purposes. Today hemp-derived CBD products are available in any number of traditional retail outlets, including grocery stores, coffee shops and even luxury department stores. What is more, carts and kiosks selling various brands of hemp-derived CBD products, whether skin creams or tincture oils, are cropping up in malls owned by some of the country’s largest landlords. Producers of CBD products “are sick of being in head shops and dispensaries,” said Kristen Nichols, editor of Hemp Industry Daily. “They want [their products] to be in the mall, in grocery stores” and other traditional retail locations, she said. CBD products are becoming ubiquitous for several reasons. First, the legal landscape for hemp (as well as CBD and other cannabinoids extracted from its flower) changed dramatically with the passage of the so-called 2018 Farm Bill (the Agricultural Improvement Act), which legalized hemp on the national level. Before the enactment of that measure, only certain states permitted the cultivation of hemp, and then only for certain purposes, such as research. Both hemp and marijuana (which remains illegal at the federal level) are part of the cannabis family of plants, though there are differences between them. Hemp contains a much lower concentration of Tetrahydrocannabinol, or THC, which has psychoactive properties, than does marijuana. CBD extracted from hemp does not have psychoactive properties, however, and will therefore not produce any altered state of mind in users. “Think of them as a red and yellow rose,” said Nichols. “They look different, but are the same plant: the cannabis plant. Hemp is the nonintoxicating version. Its flowers don’t make enough THC to make you intoxicated.” Nichols says she expects nationwide legalization of hemp to unleash billions of dollars in investments from large consumer brands that are eager to cash in on the CBD boom now, but which had previously been unwilling to flout federal law to do so. 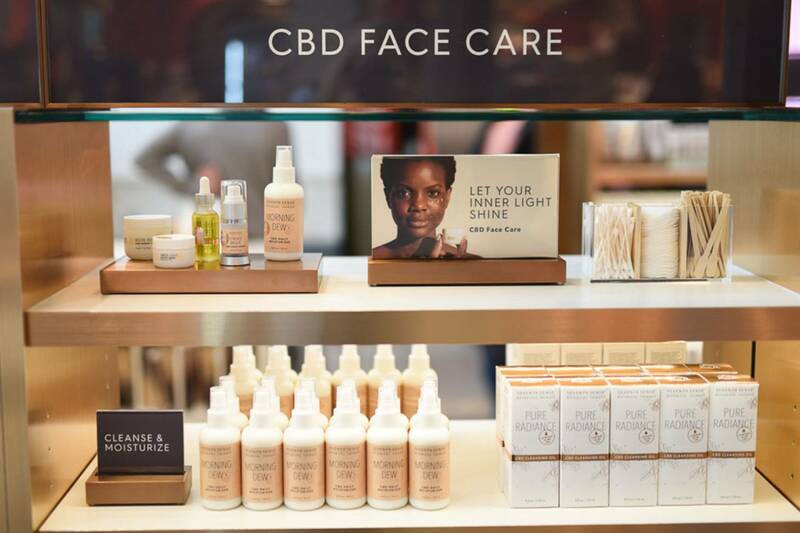 Producers of hemp-derived CBD products view brick-and-mortar retail as more than just a way to generate additional sales. Some of the biggest players see the American mall as a way to gain wider exposure for their brands and to educate consumers about their often misunderstood products. Green Growth Brands is a case in point. 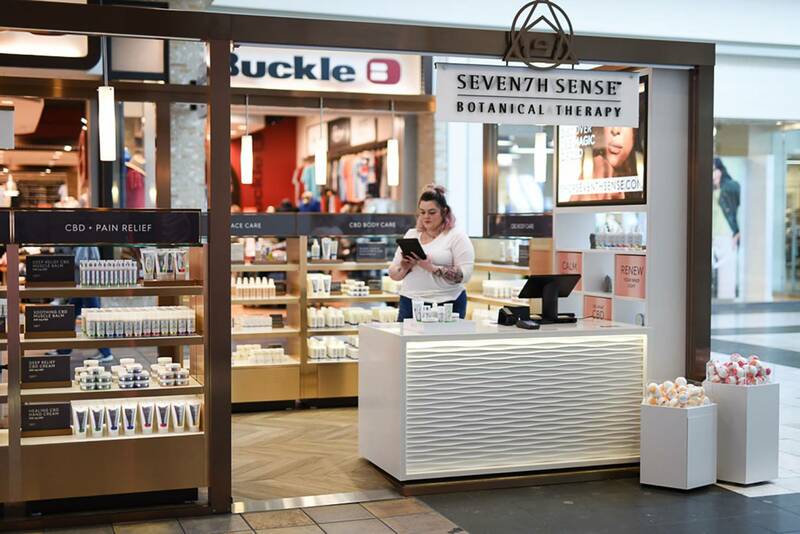 In February the Toronto-based company, which grows, processes and sells cannabis and CBD-infused consumer products, announced that it had struck a deal with Simon to open about 100 kiosks carrying its Seventh Sense Botanical Therapy products in Simon-owned malls. The first of these, measuring about 200 square feet, opened in March at Castleton Square, in Indianapolis. The rest are set to open by the end of this year. Green Growth Brands, a public company operated by retail industry veterans, tested its Seventh Sense personal-care products at a handful of DSW stores and found that consumers responded well to them, says CEO Peter Horvath, who has also held executive positions at American Eagle Outfitters, DSW, Victoria’s Secret and other large retail brands. The company also operates Seventh Sense kiosks at several other malls owned by leading landlords. The kiosks are equipped with high-end fixtures similar to those found in the beauty departments of luxury department stores, the company says. Products vary by market, but they include lotions, bath balms, lip balms and bath salts. Consumer education is a top priority also for Blue Moon Hemp, a Boca Raton, Fla.–based manufacturer, distributor and retailer of plant-based CBD products. The company, which has traditionally sold its products online and in vape shops, opened its first brick-and-mortar location — a cart carrying products from the Blue Moon and Swiss Relief brands — at the upscale Scottsdale (Ariz.) Fashion Square in November 2018. Blue Moon Hemp has since opened carts at several other malls in Arizona and Florida. The units carry many of Blue Moon Hemp’s best-selling products, including a starter kit containing a tincture, a salve and gummies. 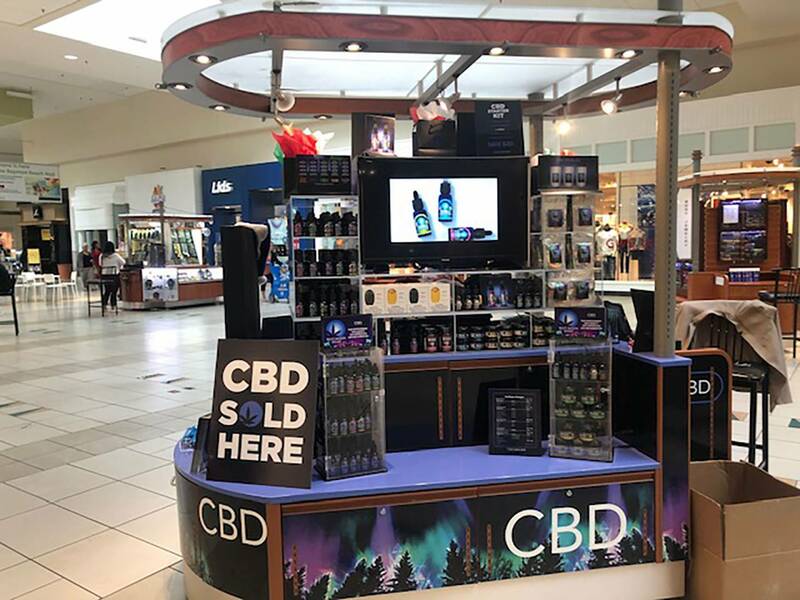 The carts are equipped with educational signs to help consumers understand how CBD works in the body for improving “internal balance, health and overall quality of life.” Las Vegas–based International Retail Management and Consulting Group is managing the company’s retail rollout. “The face-to-face component of the retail environment is crucial in terms of being able to deliver proper educational guidance [to consumers] and for brand-building and enforcement,” said Christopher Cowart, Blue Moon Hemp’s founder. Blue Moon Hemp products are sold also in vitamin shops, health food stores, chiropractic offices and other outlets, and the company has ambitious expansion plans. Among other things, it plans to open as many as 30 company-owned retail units, including possible in-line and automated-retail stores. To get there, Blue Moon Hemp will need to overcome lingering resistance on the part of many shopping center owners, which, like consumers in general, have a lot of misconceptions when it comes to hemp-derived CBD, Cowart says. Weekly newsletters like SCT Week put retail real estate news and trends in the palm of your hand.